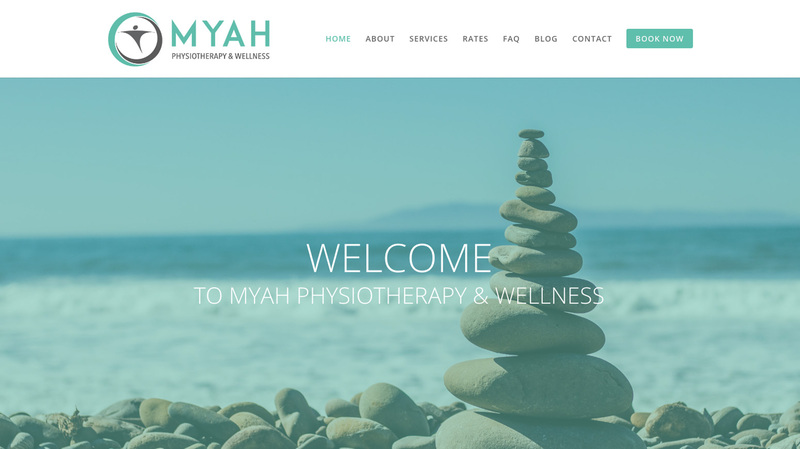 I created a logo, website, rack card and business card for MYAH Physiotherapy & Wellness in Vancouver. Pastel colours were chosen for this website and logo to create a “wellness” look and feel. MYAH specializes in Vestibular Rehabilitation, which is an exercise-based program designed to resolve dizziness and balance problems. It was thus important to eliminate all animations and moving effects from the website to avoid irritating customers who suffer from vertigo or dizziness. The online booking software Jane was integrated. Since MYAH Physiotherapy & Wellness specializes in Vestibular Rehabilitation, the merging circles stand for infinity and the figure shape represents balance. 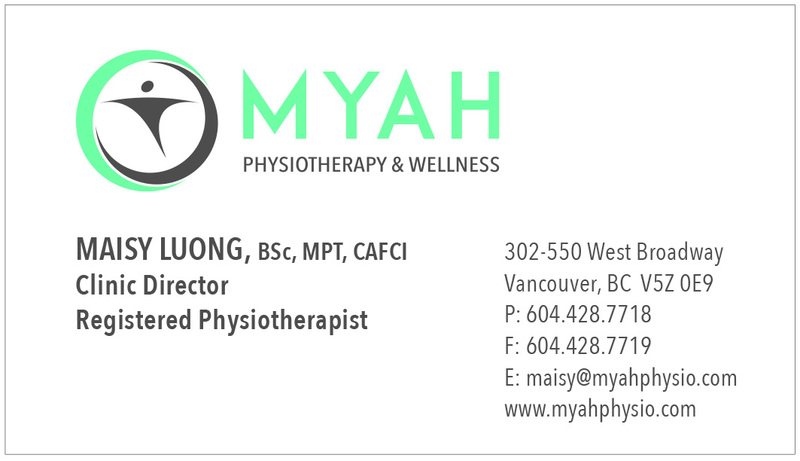 MYAH business card and services rack card.